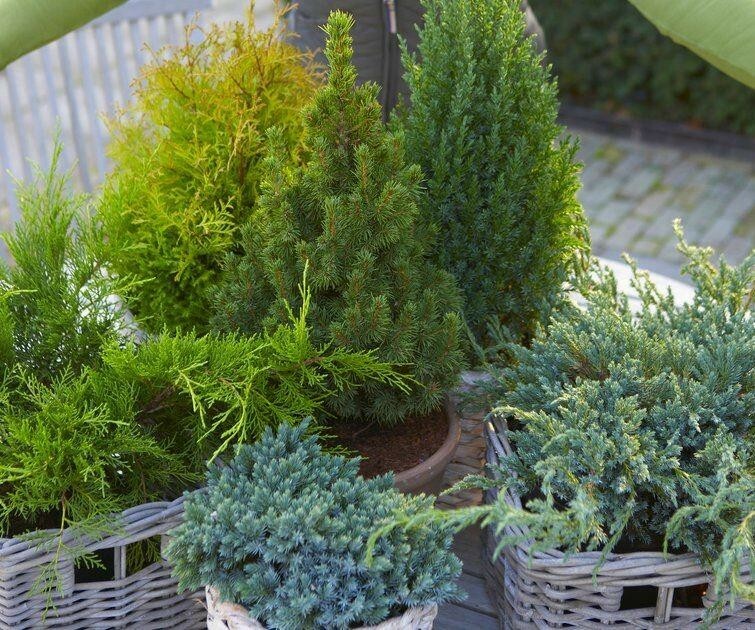 A lovely collection of evergreen conifers to provide an array of year round textures and colour to your garden. 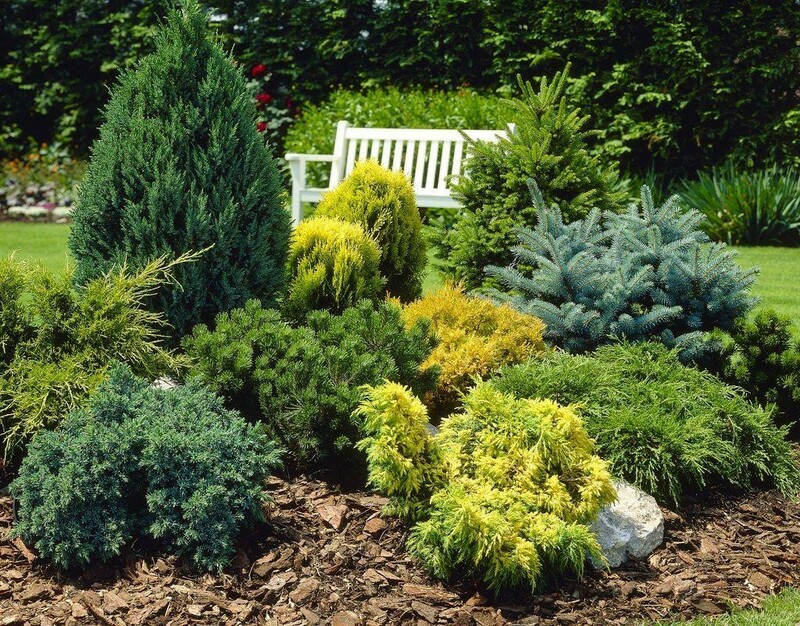 Conifers are easy to grow evergreen that require very little maintenance. Fully frost hardy and tolerant to shade and drought, you'll find these long-living varieties a real asset to your garden, providing structure and contrast either planted together or dotted around the garden among shrubs, trees or within patio planters. Supplied as strong plants in approx 9cm pots, one plant of five different, contrasting varieties, selected by us. Great for planting together in a group as a special feature in your garden. 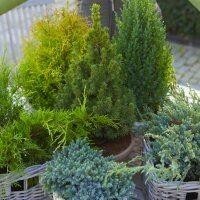 Why not get a set of these wonderful evergreens today? 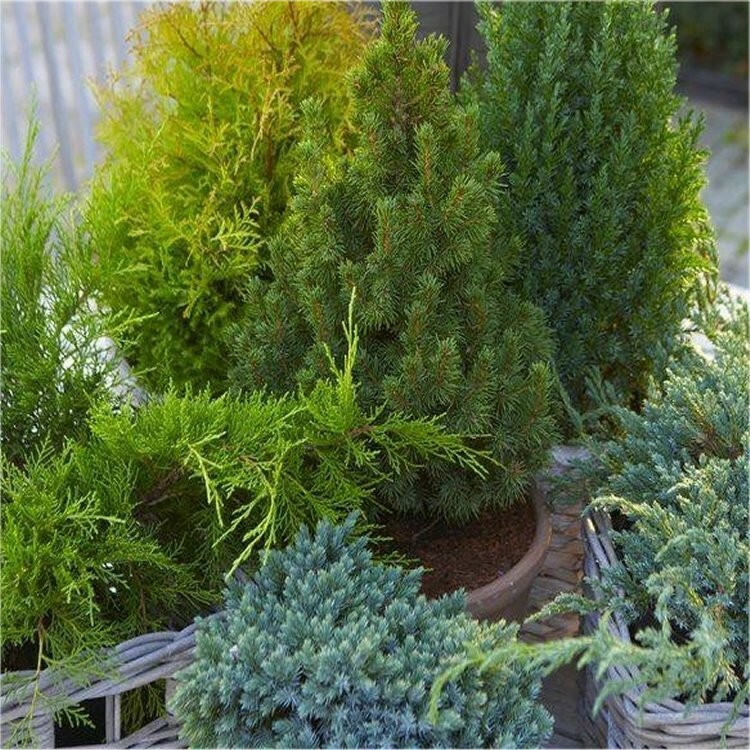 This collection has been specially selected to give a good range of foliage colour, shapes and textures and is an outstanding value way of adding a selection of attractive dwarf conifers to your garden, for a wonderful display of contrasting foliage all year round. Try a bed of these teamed with ground covering heathers for an extra lovely show in your garden. They are absolutely outstanding for adding a structure to the winter scene. If you don't want a full collection yourself, why not share with friends? Perfect to keep on the patio in planters or plant around the garden and garden ponds. These plants give a wonderful effect in the garden what ever the season.